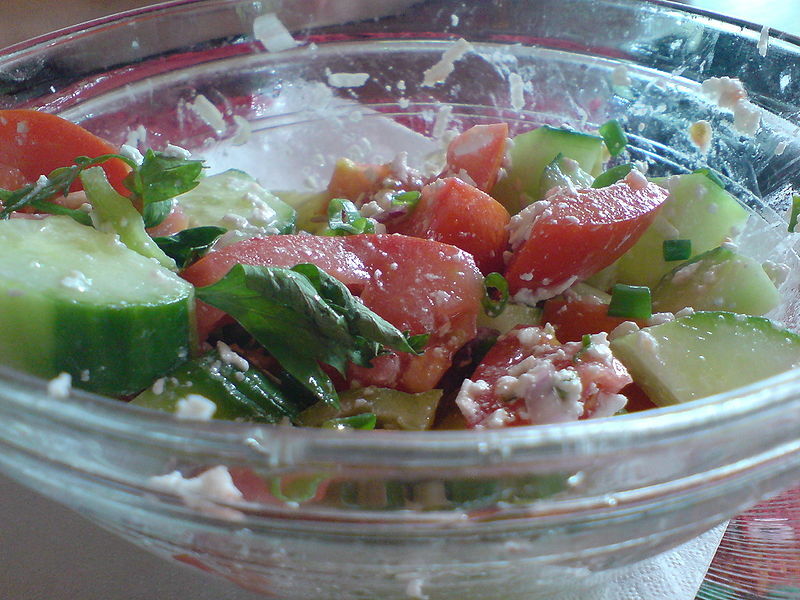 Shopska salad (Bulgarian: Шопска салата) is a traditional Bulgarian cold salad, popular throughout the Balkans. It is made from tomatoes, cucumbers, onion, raw or roasted peppers (preferably roasted), and sirene (white brine cheese). 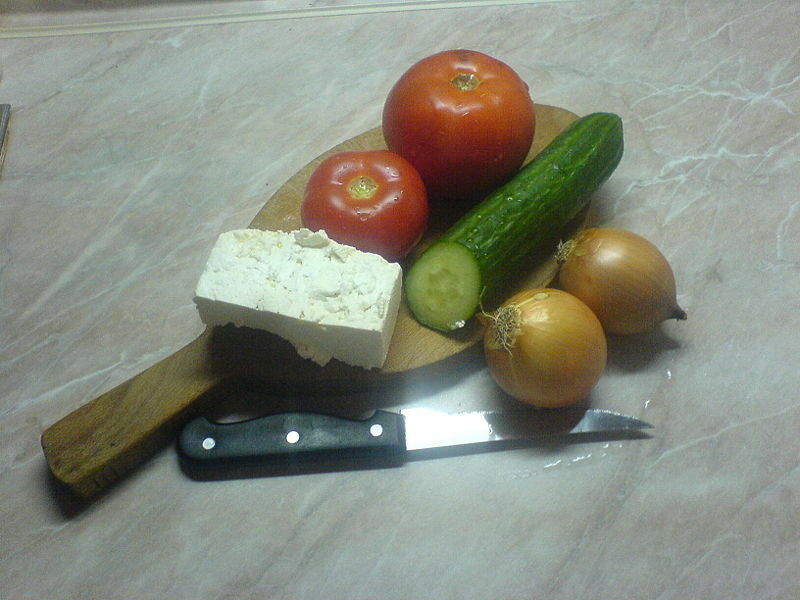 Left: A Bulgarian Shopska salad. The vegetables are usually diced and salted, followed by a light dressing of sunflower oil or olive oil, which are occasionally complemented by vinegar. The addition of vinegar only contributes, however, to the sour flavor that the tomatoes impart. In restaurants, the dressings are provided separately. Lastly, the vegetables are covered in a thick layer of grated or diced sirene. In areas where sirene cheese is unavailable, feta cheese may be used as a substitute. This salad is often consumed as an appetizer with Rakija. Left: Ingredients for the salad. Shopska salad derives its name from the regional group called Shopi living in areas of Bulgaria, Serbia and the Republic of Macedonia. The Shopi of Bulgaria are credited with developing the original recipe, hence the name.